The Fellowship will support overseas scientists to train at either University of Nottingham (UoN) and/or Rothamsted Research for 6-12 months on a research project they co-develop with UoN and Rothamsted senior scientists, who will co-supervise the project. Rothamsted International – University of Nottingham (RI-UON) Fellowship Eligibility. 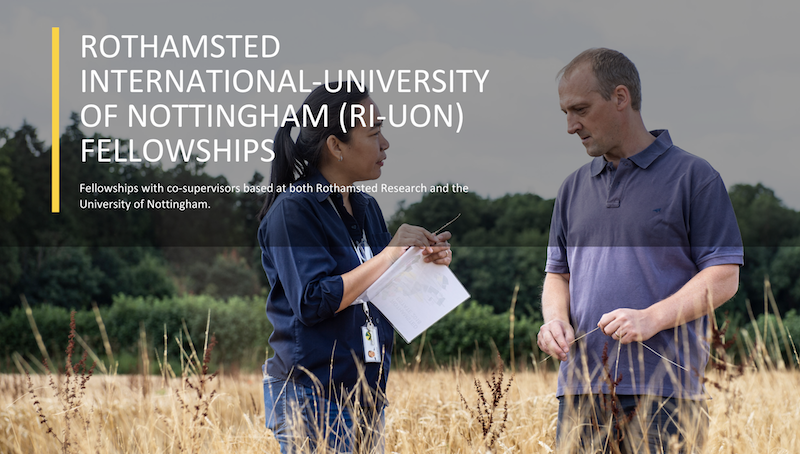 Rothamsted International – University of Nottingham (RI-UON) Fellowship Benefits. How to Apply for Rothamsted International – University of Nottingham (RI-UON) Fellowship.